Once upon a time there was a girl who loved jellyfish. She loved them because they reminded her of a visit to the aquarium with her mother. Her mother said the jellyfish looked like dresses. The little girl never forgot this. This is not my story. 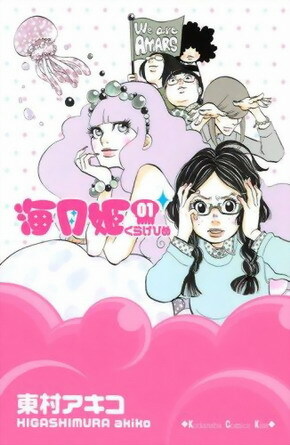 This scene is the beginning of Princess Jellyfish, a manga – Japanese comic book novel — that became a tv show and will soon be made into a live-action movie. Manga has a way of being at once cute and deeply poignant – using childlike naivete as a powerful weapon for getting past our censors, and hitting on something deep. 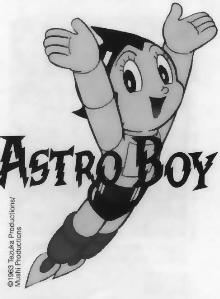 I loved manga ever since I watched a tv show on local television called Astro Boy. The cartoon was based on a famous manga by the Japanese artist Osamu Tezuka. Astro Boy was a robot, who was a kind-hearted person with kind robot parents. He worked for a scientist, and he always tried to help. His stories were not like the stories I saw elsewhere on television. They were generally philosophical and often very sad. I remember one episode that featured a planet where Astro Boy was imprisoned by this oversized, but rather dopey robot that kept on taking his temperature, and putting him in bed. Astro Boy discovers a diary in which it is revealed that the robot has mistaken the robot boy for his human companion – a female astronaut, The pair had crash landed on the planet, and the astronaut had gotten sick and died. This misguided caregiving – that looked at first so frightening – touched me, and now 50 years later, I still remember it and the accompanying suggestion that things are not necessarily what they seem, and that a behavior that looks at first like something brutish, repetitive and invasive, may be in fact an attempt to express the exact opposite. Jelly Fish Princess makes a brief entrance in the manuscript that I am writing for NaNoWriMo. A Japanese woman from the distant past buys the manga and glimpses what the future holds for women and girls. This vision inspires her to take actions that she would never have undertaken under normal circumstances. I like to think that the art that moves us also makes us braver. 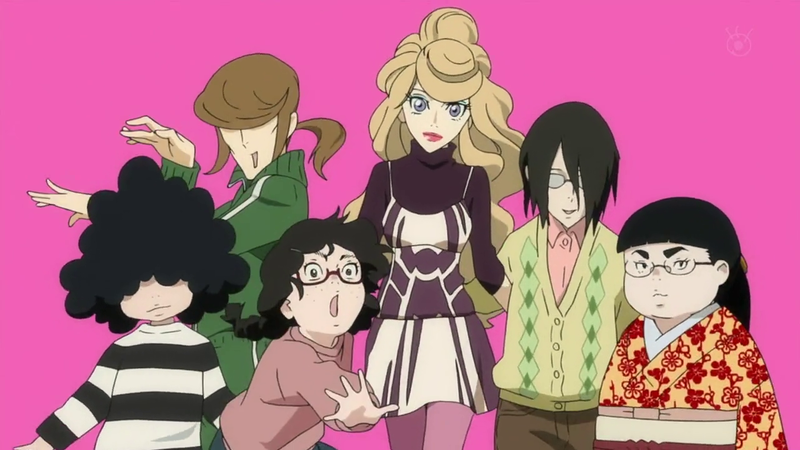 Princess Jellyfish is ultimately, to quote Lillian Behrendt, about what we love, and how important it is to love something. Bravely and unashamedly. The show’s misfit women who populate the broken down apartment building in Tokyo do just that. They are all people with strange expertises and enthusiasms. But the manga celebrates their fascinations and their talents. The point is that without these interests, we are not truly human. Our odd hobbies and obsessions are grounded in our most sincere childhood loves, and these loves are the basis for all our creativity and our ability to connect with others. This week, as we have rounded the corner on the middle of NaNoWriMo, I invite everyone to remember something they loved as a child as well as the person or persons you shared it with, if there was such a person. Put that moment or moments in your book. And let the love of that thing push you forward.